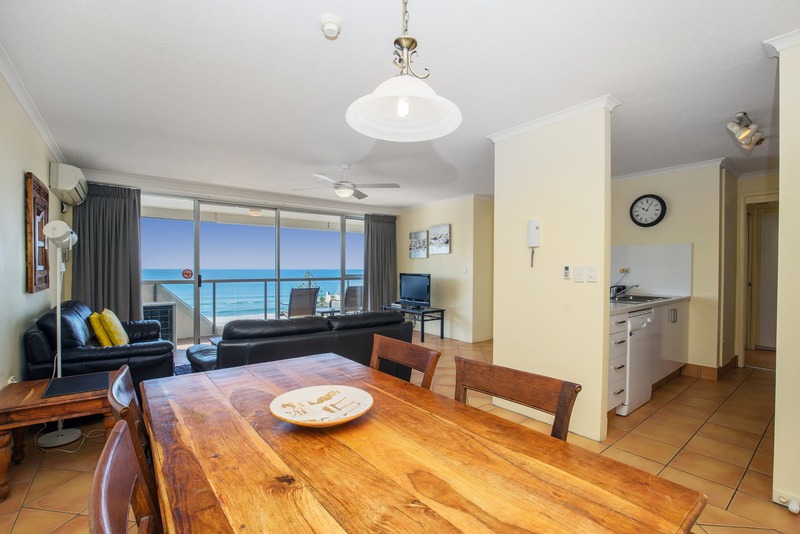 Let this Gold Coast beachfront accommodation be your Surfers Paradise oasis. 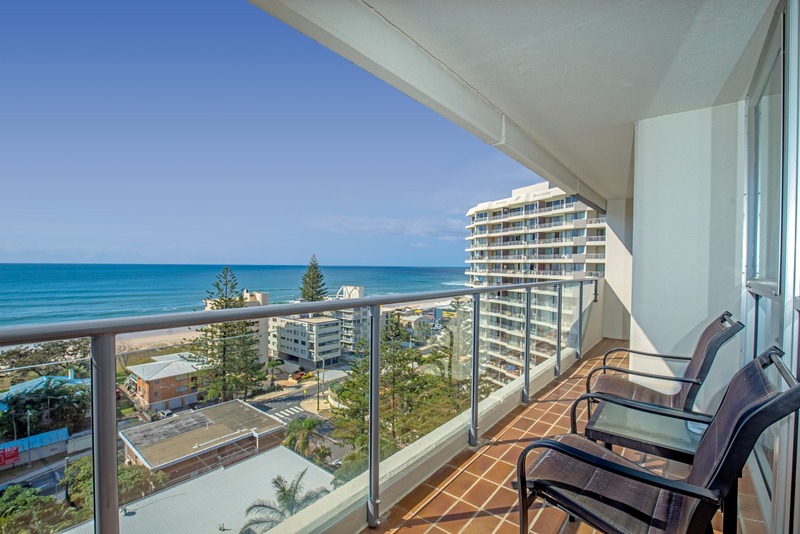 At the Baronnet Apartments, you’ll marvel at the opportunities before you at our superb Surfers Paradise location. We’re a stones throw from Cavill Mall, the heart of Surfers Paradise and less than 50 metres to the nearest beach. This is where the authentic Surfers Paradise experience starts. Once you’ve settled into Surfers, branch out and explore the rest of the Gold Coast. There’s over 80 kilometres of the Gold Coast to explore, with unique beaches and localities. You don’t have to go very far to experience the diverse neighbourhoods and destinations. Southport has had a long association as a holiday destination for the well heeled. These days the Broadwater and the assortment of ethnic restaurants on the pier make it a popular destination for visitors to the Gold Coast. Tedder Avenue on Main Beach remains the domain of fine dining restaurants and boutique retail. You’ll also find the ultimate in high end with Palazzo Versace. The restaurants, bars, spa and boutique are all dedicated to the lavish design world of Versace, and it’s all here in Main Beach. If your credit card has warmed up then pop down the road to the Marina Mirage shopping centre. Seaworld, the nearest Gold Coast theme park is within walking distance of Palazzo Versace. Start your theme park trail here, then follow-on with Warner Bros. Movie World, Wet’n’wild and The Great Australian Outback Spectacular. While you are on Seaworld Drive why not pick up some fresh seafood at Peters Fish Market next door to Palazzo Versace. 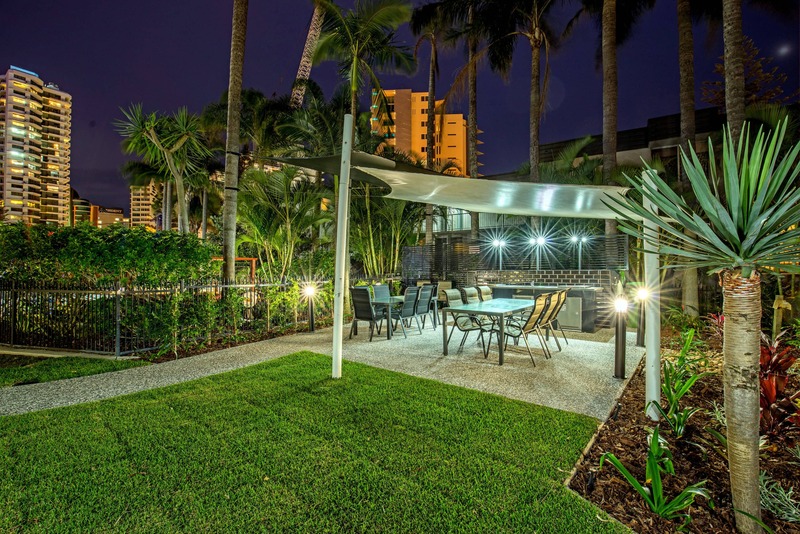 What better way to end the day than with a barbie beside the pool at the Baronnet Apartments. Usually the perfect end to a perfect day. 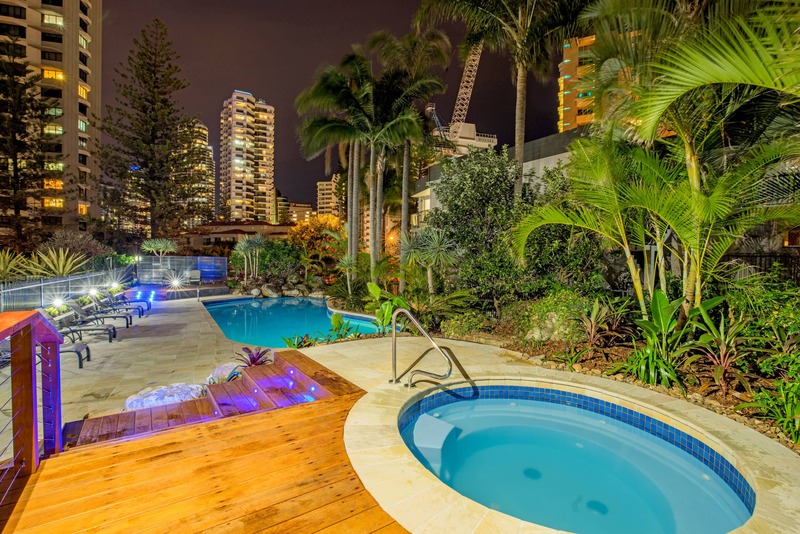 Could this Gold Coast beachfront accommodation be your oasis in the middle of the Gold Coast? There’s only one way to find out. 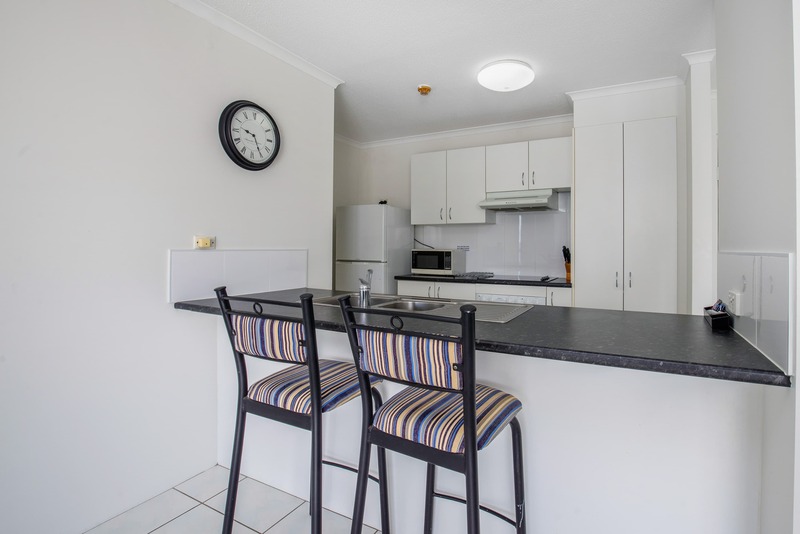 Book your Gold Coast holiday accommodation at the Baronnet Apartments today.